*Event prices range from free on up. SF Sketchfest, the San Francisco Comedy Festival, is a yearly celebration of sketch, improv, stand-up, musical and alternative comedy, bringing the best in headlining and up and coming comedy to the Bay Area every January. 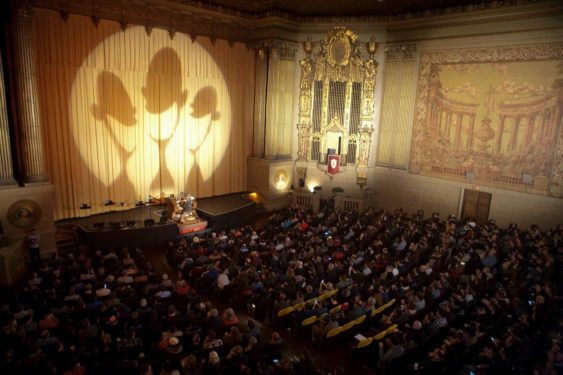 See the full 2019 SF Sketchfest schedule and list of performers. The 2019 lineup includes over 250 performers in 3 weeks including Margaret Cho, Neil Patrick Harris, Office Space, “Weird Al” Yankovic, Kids in the Hall, Bob Odenkirk plus tons of live podcasts. Plus, there’s a handful of free events and Funcheap has the hookup to several shows as well where you can win yourself a pair of tickets. Obsessed – Sat 1/19 – 5:30pm at Piano Fight – Comedy podcast about liking things a lot. Hosted by comedian/writer Joseph Scrimshaw, guests share their deepest loves from Cats to Star Wars to Knitting and everything in between. The Bechdel Cast – Sun 1/20 – 5:30pm at Piano Fight -Podcast hosted by comedians Jamie Loftus and Caitlin Durante about the portrayal of women in film.